BMI indicates body mass index (calculated as weight in kilograms divided by height in meters squared); CVD, cardiovascular disease; GD, gestational diabetes; MET, metabolic equivalent task. Rose GA, Blackburn H, Gillum RF, Prineas RJ. Cardiovascular Survey Methods. Geneva, Switzerland: World Health Organization; 1982. Question Are women with a history of gestational diabetes at an elevated risk of major cardiovascular disease (CVD) events later in life? Findings In this cohort study, with follow-up of nearly 90 000 US women older than 26 years, women with a history of gestational diabetes had 43% greater risk of CVD (myocardial infarction or stroke) compared with women without prior gestational diabetes , although absolute rates in this cohort were low. Adhering to healthy lifestyle factors over follow-up mitigated this modestly elevated risk. Meaning Although women with prior gestational diabetes have a higher risk of CVD, adhering to a healthy lifestyle may offset this risk. Importance Previous studies identify gestational diabetes (GD) as a risk factor for intermediate markers of cardiovascular disease (CVD) risk; however, few are prospective, evaluate hard CVD end points, or account for shared risk factors including body weight and lifestyle. Objective To prospectively evaluate history of GD in relation to incident CVD risk. Design, Setting, and Participants The Nurses’ Health Study II (NHS II) is an observational cohort study of US female nurses established in 1989, with ongoing follow-up. Biennial questionnaires updated behavioral characteristics, health outcomes, and lifestyle factors. Multivariable Cox models estimated the hazard ratio (HR) and 95% CI for CVD risk. We included 89 479 women who reported at least 1 pregnancy and were free of CVD and cancer at baseline. Follow-up through May 31, 2015, was complete for more than 90% of eligible participants. Exposures History of GD was self-reported at baseline (1989) via questionnaire and updated every 2 years. Main Outcomes and Measures We observed 1161 incident self-reported nonfatal or fatal myocardial infarction or stroke, confirmed via medical records. Results Participants had a mean (SD) age of 34.9 (4.7) years. Adjusting for age, prepregnancy body mass index, and other covariates, GD vs no GD was associated with subsequent CVD (HR, 1.43; 95% CI, 1.12-1.81). Additional adjustment for weight gain since pregnancy and updated lifestyle factors attenuated the association (HR, 1.29; 95% CI, 1.01-1.65). Classifying GD by progression to T2D in relation to CVD risk indicated a positive association for GD with progression to T2D vs no GD or T2D (HR, 4.02; 95% CI, 1.94-8.31), and an attenuated relationship for GD only (HR, 1.30; 95% CI, 0.99-1.71). Conclusions and Relevance Gestational diabetes was positively associated with CVD later in life, although the absolute rate of CVD in this younger cohort of predominantly white women was low. This relationship is possibly mediated in part by subsequent weight gain and lack of healthy lifestyle. Gestational diabetes (GD) is the onset or recognition of impaired glucose metabolism in pregnancy. Quiz Ref IDApproximately 6% of pregnancies in the United States are complicated by GD, with trends indicating increases in prevalence in recent decades.1 The American Heart Association identifies GD as a risk factor for cardiovascular disease (CVD) in women,2 based on consistent evidence for the relationships between GD with subsequent hypertension,3,4 dyslipidemia,4-6 type 2 diabetes,7 vascular dysfunction and atherosclerosis,4,8-11 and other markers of cardiometabolic risk.9,12,13 In addition to accumulating evidence supporting GD as a risk factor for intermediate phenotypes, retrospective analyses indicate a positive relationship between GD with major CVD events (eg, myocardial infarction [MI], stroke).14-18 However, the relationship between GD with subsequent CVD has not been evaluated in prospectively with careful control for common risk factors or mediating lifestyle characteristics. We sought to prospectively determine the association between a history of GD and risk of major CVD events, including MI and stroke, in the Nurses’ Health Study II (NHS II) cohort. The NHS II longitudinal cohort benefits from long-term prospective follow-up with information on reproductive history and repeated ascertainment of numerous lifestyle and health-related characteristics. We previously demonstrated among NHS II participants that a history of GD was associated with an elevated risk of hypertension over 16 years of follow-up.3 In addition, we observed that healthful dietary and lifestyle factors were associated with lower risk of progression from GD to weight gain and CVD-related chronic diseases, including hypertension and type 2 diabetes.19-22 Identifying women at high CVD risk several years prior to an event may provide individuals and health care professionals the opportunity to intervene with preventive therapy and lifestyle modifications. Thus, we also examined whether the relationship between GD and CVD events differed by participants’ behavioral and lifestyle factors during follow-up after pregnancy, to assess the potential for prevention of CVD after GD by interventions with healthy lifestyle modifications. Given that up to half of women with GD progress to type 2 diabetes within 10 years of pregnancy,23 we also sought to prospectively account for intermediate type 2 diabetes. 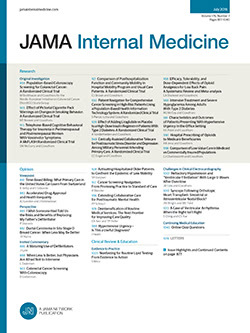 This analysis was conducted in the NHS II, an ongoing longitudinal prospective cohort that began in 1989 with the enrollment of 116 430 female US nurses ages 24 to 44 years.24 Questionnaires are distributed every 2 years to update lifestyle characteristics and health-related information, with possible person-time exceeding 90% for each biennial cycle. This study was approved by the institutional review board of the Partners Health Care System (Boston, Massachusetts). Participants did not provide written informed consent; consent was indicated by the return of the questionnaires. Participants were not compensated. NHS II participants were eligible for inclusion in this analysis if they reported a previous birth at age 18 years or older on the 1989 baseline questionnaire or an incident first birth during follow-up, through 2001. The 2001 questionnaire is the last cycle in which incident GD and other pregnancy outcomes were ascertained because most NHS II participants had passed reproductive age. We excluded participants reporting a history of type 1 diabetes (n = 64), CVD (n = 909), or cancer (n = 1548) prior to baseline or first pregnancy. The primary outcome of interest was a composite of incident nonfatal and fatal MI and stroke occurring from baseline through return of the 2013 questionnaire. Participants reported a physician’s diagnosis of an MI or stroke on each biennial questionnaire. Medical records were obtained with participants’ consent. Nonfatal MI was confirmed through a physician’s review according to the World Health Organization criteria that include symptoms plus either diagnostic changes in an electrocardiograph or elevated levels of cardiac-specific enzymes.26 Nonfatal stroke was confirmed according to the National Survey of Stroke criteria that include a new focal neurologic deficit with sudden onset and persisting 24 hours or more, excluding pathologic abnormalities due to infection, traumatic injury, or malignant disease.27 Deaths were identified from next of kin, postal authorities, or a search of the National Death Index.28 Fatal CVD events were confirmed by autopsy records or if MI or stroke was listed as the cause of death on the death certificate with evidence of prior CVD available in the medical records. We considered secondary end points of MI and stroke separately, as well as fatal CVD. Participants’ person-time was calculated from time of first birth, and women were followed until first major CVD event (MI or stroke), death, or May 31, 2015, whichever occurred first. Exposure status (history of GD) was updated every 2 years through 2001, and participants were considered exposed from their first report of GD through the end of follow-up, regardless of GD occurrence in subsequent pregnancies. Thus, if a woman reported a non-GD pregnancy with a subsequent GD pregnancy, she would contribute both unexposed and exposed person-time over follow-up. We computed age- and multivariable-adjusted Cox proportional hazards models to estimate the hazard ratios (HRs) and 95% CIs for the association between a history of GD vs no history with risk of CVD, adjusting for continuous age and years since index birth as the underlying time strata. Multivariable models were adjusted for prepregnancy BMI (continuous), parity (0, 1, 2, 3, ≥4 prior pregnancies ≥6 months), history of pregnancy hypertensive disorders up to or concurrently with a GD pregnancy (yes/no), family history of MI or stroke (yes/no), menopausal status (premenopausal, postmenopausal, unsure/biologically uncertain), postmenopausal hormone therapy use (never, past, current), and white race/ethnicity. In a secondary multivariable model, we also adjusted for potential mediating lifestyle factors, including weight change from prepregnancy (continuous), current alcohol consumption (0, 1-14, ≥15 g/d), daily low-dose aspirin (yes/no), smoking status (never, former, current), total physical activity (quartiles), and aHEI-2010 score (quartiles). Time-varying covariates were updated. Information from the previous questionnaire was carried forward for missing data and a missing indicator category was created for categorical covariates when necessary. We secondarily categorized exposure by intermediate type 2 diabetes status to assess whether GD independently elevates CVD risk, or if its relationship with CVD is explained by its progression to type 2 diabetes, an established CVD risk factor. Participants without a history of GD or type 2 diabetes served as the reference group. We stratified by CVD lifestyle risk factors to assess whether risk differed according to current healthy behavior status.33 For this we considered BMI (above or below a BMI of 25.0), diet quality (above or below aHEI-2010 median), physical activity (above or below 500 MET-minutes/week), and smoking status (never vs ever). We also stratified by whether women met 0 to 2 or 3 to 4 of any combination of these healthy lifestyle factors. Lifestyle was updated over time to reflect current behavior. Finally, we examined heterogeneity by additional risk factors, including age at first birth (<30 vs ≥30 years), prepregnancy BMI (normal, <25.0, vs overweight/obese, ≥25.0), and family history of CVD. P values for interaction were derived from likelihood ratio tests comparing models with and without the multiplicative interaction term added to the main effects multivariable model. We used SAS statistical software (version 9.1; SAS Institute Inc). There were 89 479 parous NHS II participants eligible for inclusion in our analysis, with a mean (SD) age at first birth of 26.6 (4.6) years and a mean age of 34.9 (4.7) years at study enrollment in 1989. A total of 5292 women (5.9%) reported a history of GD in at least 1 pregnancy either at baseline (58%) or follow-up (42%). Age-adjusted characteristics by history of GD are presented in Table 1. Quiz Ref IDWomen with a history of GD were more likely to be at least 30 years old at first birth and overweight or obese prepregnancy. A history of pregnancy hypertensive disorders was also more common among women with GD, as was a family history of type 2 diabetes and CVD. Women with prior GD reported slightly less physical activity and alcohol intake but did not differ by smoking status, daily aspirin use, history of oral contraceptive use, or diet quality score at baseline. Incident primary CVD events occurred in 1161 parous women during a median of 25.7 years of follow-up (1.1 events per 1000 person-years), including 612 MIs and 553 strokes (eFigure in the Supplement). Compared with parous women without GD, those with a history of GD experienced a 60% greater risk of CVD during follow-up (HR, 1.60; 95% CI, 1.26-2.04) (Table 2). The positive relationship remained after adjustment for risk factors (HR, 1.43; 95% CI, 1.12-1.81). Additional adjustment for potentially mediating lifestyle and behavioral risk factors, including weight gain since prepregnancy, current smoking status, diet quality score, alcohol intake, aspirin use, and physical activity, moderately attenuated the association (HR, 1.29; 95% CI, 1.01-1.65). Quiz Ref IDWhen we considered MI and stroke risks separately, GD was positively associated with MI risk in the fully adjusted model (HR, 1.45; 95% CI, 1.05-1.99), but was not associated with stroke risk (HR, 1.10; 95% CI, 0.75-1.61). GD was not associated with fatal CVD events (n = 72), although this analysis may have been underpowered (HR, 1.21; 95% CI, 0.45-3.30). Quiz Ref IDAmong women with a history of GD, 1008 (19.0%) subsequently developed type 2 diabetes vs 4078 (4.8%) among women without prior GD. Compared with the reference group of parous women without GD or type 2 diabetes, we observed an elevated risk of CVD for women with GD only, type 2 diabetes only, or both GD and type 2 diabetes in the age-adjusted model (Table 3). Quiz Ref IDThe fully adjusted model indicated a greater than 3-fold elevated risk of CVD for women with both GD and type 2 diabetes or type 2 diabetes only vs women without any diabetes (HR, 3.71; 95% CI, 1.79-7.67 and HR, 3.74; 95% CI, 1.85-7.53, respectively). Women with a history of GD but without progression to type 2 diabetes did not experience an elevated CVD risk after adjusting for weight change and other lifestyle factors (HR, 1.20; 95% CI, 0.91-1.58). Similar trends were observed for MI and stroke outcomes individually. Stratification by updated healthy behavior risk factors for CVD suggested maintaining a healthier lifestyle in midlife may attenuate the association between a history of GD and CVD risk (Figure). GD was not associated with CVD risk during follow-up among women in the top half of diet quality score (HR, 1.27; 95% CI, 0.84-1.93), with at least 500 MET-minutes per week of physical activity (HR, 1.19; 95% CI, 0.80-1.77), never smokers (HR, 1.22; 95% CI, 0.85-1.74), or BMI of less than 25.0 (HR, 1.35; 95% CI, 0.80-2.27). Furthermore, among women with at least 3 of these 4 healthy lifestyle factors, a history of GD was not associated with CVD risk (HR, 0.90; 95% CI, 0.46-1.76). Conversely, a positive association between GD and CVD risk remained among women with 2 or fewer healthy factors (HR, 1.57; 95% CI, 1.19-2.05) (P value for interaction = .20). Additional a priori stratified analyses indicated a similar relationship between a history of GD with CVD risk by age at first birth (P value for interaction = .60), family history of CVD (P value for interaction = .10), and years since index pregnancy, <10 vs ≥10 (P value for interaction = .20). We did observe effect modification by prepregnancy BMI (P value for interaction = .01), with women who were overweight or obese (BMI ≥ 25.0) experiencing greater than 2-fold CVD risk with a history of GD vs no GD (HR, 2.04; 95% CI, 1.23-3.38), and no relationship among women who were not overweight or obese prepregnancy (BMI <25.0) (HR, 1.19; 95% CI, 0.89-1.59). Interaction by prepregnancy BMI remained after adjusting for weight change since prepregnancy and other updated lifestyle factors (data not shown). Findings from this large prospective cohort suggest that women with a history of GD experience a modest elevated long-term risk of CVD compared with parous women without a history of GD, although the absolute risk difference was quite low (0.5 additional events/1000 person-years), likely owing to the younger age of the cohort. Adjusting for updated lifestyle risk factors for CVD, including current diet, physical activity, smoking status, and weight gain, explained some, but not all, of this relationship. Furthermore, GD was not associated with CVD risk among women with healthier behavior profiles (healthy diet, physically active, never smoker, or not overweight or obese). The association between GD and CVD risk persisted among women with both GD and subsequent type 2 diabetes compared with women without GD or type 2 diabetes. Together, our findings suggest GD is possibly related to CVD risk through a sustained unhealthy lifestyle after pregnancy. Most, but not all, previous studies of GD and CVD reported findings consistent with ours, with most evidence based on retrospective cohorts, case-control studies, and registry databases.14-18,34,35 GD was not associated with incident composite CVD end point (HR, 1.07; 95% CI, 0.81-1.42), heart disease (HR, 1.21; 95% CI, 0.84-1.73), or stroke (HR, 1.04; 95% CI, 0.60-1.82) in the European Prospective Investigation into Cancer and Nutrition (EPIC) Dutch cohort.34 However, GD was recalled at mean age of 51 years, many years after pregnancy, which may have led to exposure misclassification and underestimation of the association. Five retrospective analyses14-17,35 of cohorts, registries, and administrative databases reported positive relationships between GD with CVD risk. Estimates in 4 of the studies were attenuated after adjusting for subsequent type 2 diabetes status, while the fifth did not account for this.8 An administrative database study of more than 1 million pregnancies in Ontario, Canada, observed findings similar to our age-adjusted models, with elevated CVD risk for all GD pregnancies, with or without intermediate type 2 diabetes.36 Their analysis, however, was unadjusted for BMI, menopausal status, race/ethnicity, and other potential major confounders, which largely attenuated the elevated CVD risk among women with GD but without type 2 diabetes in our study. While these analyses provide preliminary evidence to support a positive relationship between GD with CVD risk, they are limited by their retrospective assessment of GD and lack of adjustment for relevant confounders (eg, prepregnancy BMI), which may be prone to recall bias and/or misclassification when asked several years after pregnancy. Our longitudinal analysis of a prospective cohort indicates a positive relationship between a history of GD and CVD risk later in life, and several pathways may underlie this observation. First, experiencing a GD pregnancy may have a direct impact on cardiometabolic function. Previous prospective and cross-sectional analyses indicate that women with a history of GD experience higher levels of atherosclerosis,8,37,38 impaired vascular function,9,13,39-41 and are more likely to have dyslipidemia14,42,43 and elevated blood pressure or hypertension14,29,40,42,43 compared with women without GD. Differences in these intermediate phenotypes are seen prior to the development of type 2 diabetes, and in some studies are evident after relatively short-term follow-up from the index pregnancy.8,37,43-45 Thus, it is plausible that GD induces lasting cardiovascular effects in the mother, independent of progression to type 2 diabetes, a known CVD risk factor. Few of these studies, however, controlled for prepregnancy characteristics, and were thus unable to account for whether underlying cardiometabolic risk existed prior to pregnancy, predisposing women to both GD and CVD later in life. Accumulating evidence indicates that differences in GD vs non-GD pregnancies are apparent even prior to pregnancy for many CVD risk factors, including dyslipidemia,46-48 adipokines,49,50 and poor lifestyle.51-53 Therefore, prospective studies with carefully phenotyped CVD markers prepregnancy and postpregnancy are warranted to tease out whether GD itself induces adverse cardiovascular changes, is simply a marker for underlying high risk, or is some combination of these (ie, experiencing a GD pregnancy exacerbates underlying subclinical dysfunction). We also observed heterogeneity by prepregnancy overweight/obesity status, which may indicate differences in GD etiologies among women with lower BMI vs conventional higher-risk profiles. Strengths of the present study include prospective longitudinal follow-up of a large cohort of women for incident confirmed CVD events. Our analysis was carefully adjusted for a number of potential confounders, including reproductive and lifestyle characteristics. Furthermore, our ability to conduct a well-powered prospective analysis to evaluate clinical end points builds on previous evidence of intermediate biomarkers and phenotypes. Limitations include the racially/ethnically homogeneous study population, precluding our ability to address the relationship between GD and CVD in potentially higher-risk minority populations. Generalizability to older populations also requires additional investigation, given the relatively young age of the NHS II population and correspondingly low rates of incident CVD. Furthermore, there is evidence that even mild glucose intolerance below the threshold of a GD diagnosis predicts subsequent cardiometabolic risk; however, our binary diagnosis of GD (yes/no) prevented us from examining the spectrum of exposure.35 In addition, our reliance on self-report of GD may introduce some level of exposure misclassification, although a validation study in a subgroup demonstrated the validity of this approach. Misclassification may be greater among women recalling pregnancy history at baseline, and among women with pregnancies prior to universal GD screening practices, potentially leading us to underestimate the true association between GD and CVD. Although we controlled for potential confounders, including reproductive characteristics, prepregnancy BMI, and several lifestyle risk factors, residual confounding from measurement error in the covariates is possible. Furthermore, we cannot rule out that preclinical CVD may be preexisting among women with GD. Overall, we found that women with a history of GD have a modest elevated risk of CVD, particularly for MI events, compared with parous women without a history of GD. The association was attenuated among women without subsequent type 2 diabetes and those adhering to low-risk lifestyle behaviors, including maintaining a healthful diet, physical activity, nonoverweight/nonobese body weight, and nonsmoking. Collectively, these findings support the role of lifestyle for the prevention of CVD among high-risk women with a history of GD, although the small absolute rate increase of approximately 0.3 CVD events per 1000 person-years observed for those with a history of GD among these younger, predominantly white women may preclude widespread costly long-term interventions. Future data with continuous follow-up of these women are warranted to evaluate longer-term health implications of GD history. Corresponding Author: Cuilin Zhang, MD, PhD, MPH, Epidemiology Branch, Division of Intramural Population Health Research, Eunice Kennedy Shriver National Institute of Child Health and Human Development, National Institutes of Health, 6100 Executive Blvd, Room 7B03, Rockville, MD 20852 (zhangcu@mail.nih.gov). Accepted for Publication: May 7, 2017. Author Contributions: Dr Zhang had full access to all of the data in the study and takes responsibility for the integrity of the data and the accuracy of the data analysis. Study concept and design: Tobias, Stuart, Chavaro, Hu, Manson, Zhang. Drafting of the manuscript: Tobias. Statistical analysis: Tobias, Stuart, Li. Administrative, technical, or material support: Chavaro, Hu, Manson. Funding/Support: This work was supported by National Institutes of Health (grant No. K01DK103720) to Dr Tobias, and the Nurses’ Health Study II is supported by National Institutes of Health (grant Nos. HL34594 and UM1 CA176726). Dr Zhang is supported by the Intramural Research Program of the Eunice Kennedy Shriver National Institute of Child Health and Human Development (HHSN275201000020C).